This is a guide about shih tzu having seizures. Certain dog breeds are more prone to seizures. Consult with your vet to help manage your dog's health. 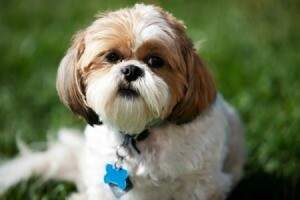 Question: Why Do Shih Tzu Dogs Have Seizures? Why to Shih Tzu dogs have seizures? There are several reasons for seizures. I'm a 20-year veteran of veterinary hospital work and do not know of a predisposition for this breed to have seizures. Ask your vet. He/she is the only one who can tell you why your particular dog is having seizures. I think seizures are common, especially in small breeds. I have two rescued LH mini dachshunds who both have seizures (and my dad and brother each had a dachshund with seizures.) Of the 4, only one of mine has them often enough to be on phenobarb. Why have you not taken this dog to a Vet for a proper diagnosis? Is the same one with ammonia IN him/her? As Glenns Mom said, nobody in this forum can tell you why, but the dog is suffering. If you did the other post too and have a puppy that is having seizures with high ammonia blood levels then a liver shunt is a very likely culprit. That means that blood isn't going through the liver to detoxify it and toxins build up causing seizures. It can be expensive to diagnose and treat (with surgery). You need to talk to your vet. There are diets that are low in protein and medicines that can help lessen the signs, but ultimately if the shunt is severe and you do not have surgery, your pup will die at an early age. Epilepsy doesn't usually start until a dog is around 2 years old.